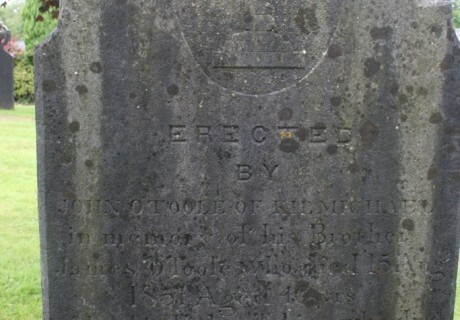 Erected by John O'Toole of Kilmichael in memory of his brother James O'Toole who died 15th Aug. 1851 aged 46 yrs. Also his father Tobias who died 21st May 1857 aged 88 yrs. 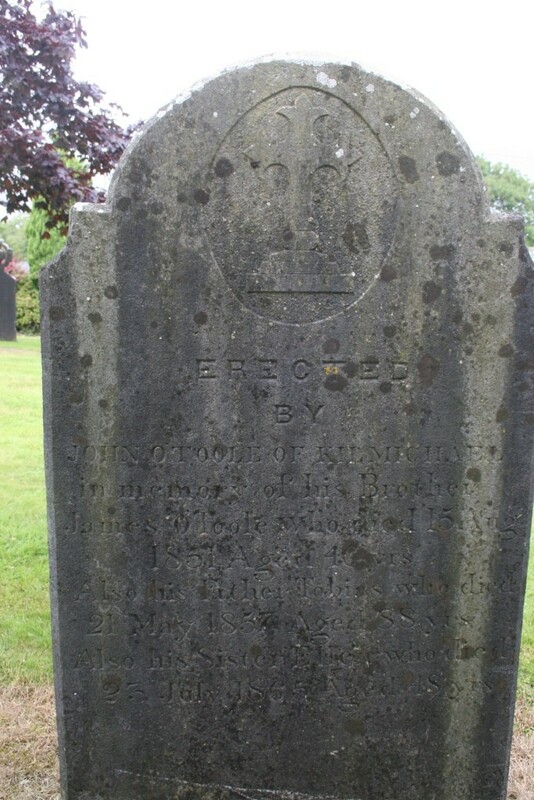 Also his sister Ellen who died 23rd July 1865 aged 48 yrs.